Entrepreneurship can be a lonely endeavor. Solo business owners work long hours to build their businesses, often without the benefit of conversation or camaraderie. But without help from others, entrepreneurs can easily fail. As important as it is to have trustworthy partners, you may find that many of the options for bringing in partners either mean spending money to hire a full-time team or opening up your business to someone else. Neither choice may be something you’re willing to commit to doing in your formative weeks. Today’s businesses often rely on outsourcing service providers and vendors to provide those essential partnerships. Since no entrepreneur can be an expert on everything, having others around makes a big difference. Those partners may provide insights and ideas that an entrepreneur would never have considered independently. 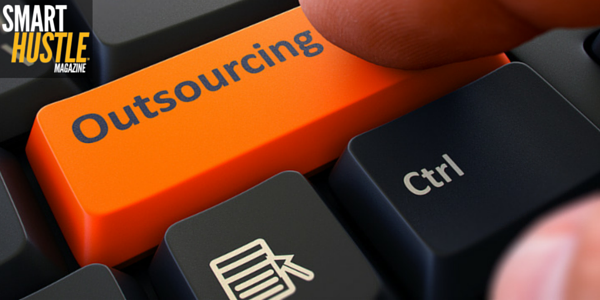 Here are a few ways you can make outsourcing work for your own small business. For more insights into Small Business, click through to Progressive Life Lanes! While they might be on the pricey side, consultants and business analysts can provide some of the best advice to a new business owner. Even if it means bringing contracted expertise in for a few one- or two-hour meetings, the cost could mean the difference between success and failure. LinkedIn can be a great resource for locating consultants who are a good fit for your business, but if you can’t find anyone online, a local networking group might be the best option. Ask around to see if anyone can recommend someone who provides small business consulting and works on a short-term contractor basis. As you build your business, you’ll likely find you need help with day-to-day operations. This can include everything from answering phones to designing your corporate logo or building a leads database. A virtual assistant who provides these services hourly can be a great alternative to a full-time administrative person for those who need regular assistance. For those one-off jobs, crowdsourcing options like Upwork, 99designs, UserTesting and Feedback Army are a great way to get affordable help. In the early days, the biggest deficit you’ll likely notice is in the lack of a sounding board. You can discuss your business issues with friends and family members, but no one can relate more than others who are going through the same thing. Search for small business networking groups in your town and try to make those meetings a priority. You can also find networking groups online, but you may find that they lack the emotional support you get from in-person meetings. One of the best resources for your business may not cost you a dime. The Small Business Administration (SBA) maintains regional development centers staffed by qualified professionals whose role is to counsel, mentor and train small business owners. This service is provided at a reduced charge, with support offered on topics like developing a business plan, disaster recovery, and exporting and importing. The SBA can even connect small businesses with lenders that are willing to provide business loans to entrepreneurs. For new business owners, human interaction can be sorely lacking. But by taking advantage of the many resources available, they can enjoy the perks of having partners to grow their businesses without the expense of a full-time team. This post was written in partnership with Progressive Insurance. I have been compensated, but the thoughts and ideas are my own. For additional small business tips, check out Progressive’s Small business Big Dreams program.